Since 1998, Laiterie Saint-Père has undertaken many certification procedures, which are indicators of seriousness and professionalism for customers. Specifications, audits, corrective measures: these procedures, each more demanding than the last, require commitment from every employee, wherever they work in the company. Compliance with customer requirements (internal and external) and regulations and full commitment to continuous improvement. 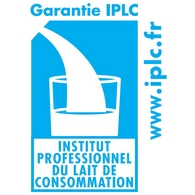 Compliance with the rules of the code of the professional institute for milk consumption (compliance with regulations, nutritional composition, quality control, self-checks and traceability of the product). 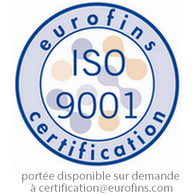 First certification: 2014 (for UHT production). Renewed each year (audit and inspections of products at points of sale). Organic sector: inspection ofthe entire production system (inputs, production, transformation, packaging, labelling, storage, distribution, imports, if any). Renewed each year (audit and unannounced inspection). Compliance with regulations relating to animal feed and well-being, for milk naturally enriched in Bigotry in particular. Renewed every 18 months (audit and inspections of products at points of sale). 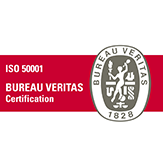 La certification ISO 50001 atteste de la mise en place d’un système de management des dépenses énergétiques au sein de notre entreprise. Les consommations par unités énergétiques significatives sont qualifiées, suivies et améliorées par des actions en permettant une réduction durable. Standards, regulations, certificates, implementation of key indicators, discrepancy analysis, corrective actions and follow-up plans, reassessment of goals once they have been achieved… “In terms of quality and traceability, improvement must be both continuous and collective. In regards to consumers, we have to guarantee that our food products are safe, and everyone works towards this” (Magali Staal, Quality, Safety and continuous improvement Manager).